They beat britney!!! ohhh yeeeaahh!!! 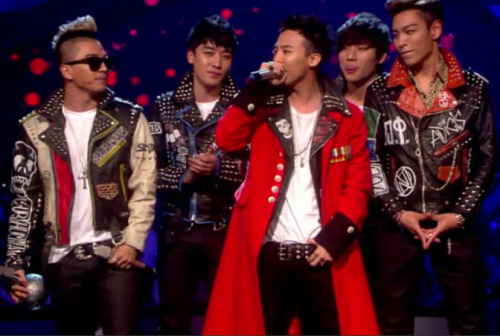 Translation of GD’s speech: “We are called Big Bang from South Korea, nice to meet you all. And because this award is something that our fans have given us, it has a lot more meaningful and it gives us more joy. I would like to thank our fans, V.I.P, once again. And through this opportunity, I hope we can attract more love and interest to Korean music and Big Bang as well.